Let’s Go & Hunt Some Photos at Kota Tua, Jakarta! Do you know beside Travelling and Eating, I have another hobby which is photography? You might guess it while looking at my travel and food photos, even though it’s not a professional photography, it all looks great right? On Sunday, I went to Kota Tua – in North Jakarta – because I already miss hunting photos too much! Yes, it’s been a long time since my last hunting session. I just started to work as a fresh graduates and I’m kinda busy in office! Not only that… I went here because I want to drive my just-arrived Toyota Agya! Finally after 6 months saving I could by a car with my own money! *Whoa… 6 months? That fast? * I know you might get suspicious… hahaha! Yep right, that fast! Thanks to Toyota Agya’s price that is very affordable and reasonable for a first jobber, I could buy my own car without asking my parents for that. super happy! Now, now, the intermezzo is right until there, because I’ve arrived in Kota Tua, Jakarta! It’s super crowded there and it feels like impossible to get a parking area for a car. Taking out my gear (read: camera) I start to look around at Kota Tua. So crowded right? You can see the Pos Indonesia building right on your right side!! One of my favourite photo theme is actually Human Interest, which means I secretly take a candid shot of people doing their things. There’s always a story behind each Human Interest photos from the photographer point of view. That’s why I love it! They usually don’t share about the point of view or the story, they just keep it on their head. But well, since I’m a nice one, I’ll share you my perspective in each photos! 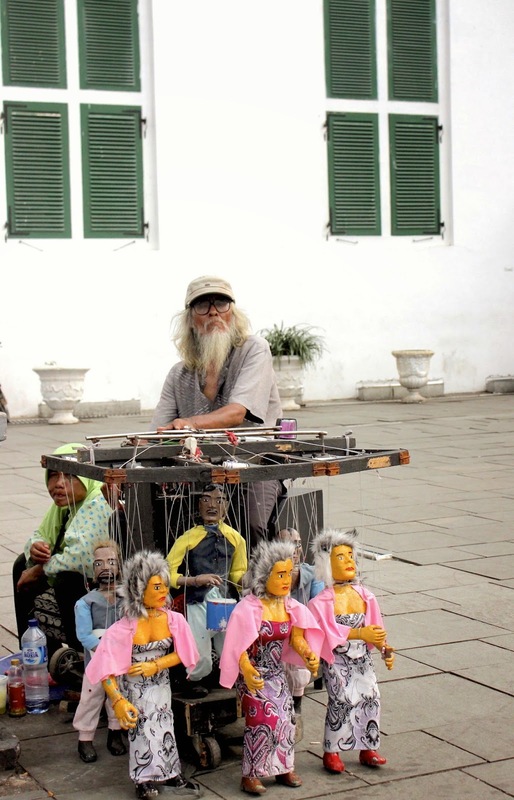 Here’s some of my fav shots in Kota Tua – and the story – how do you think? Foreigners enjoying their time! Upss… or not? I take this shot because I’m in love with the black tank-top foreigners style, especially that glasses!! It’s super cool! 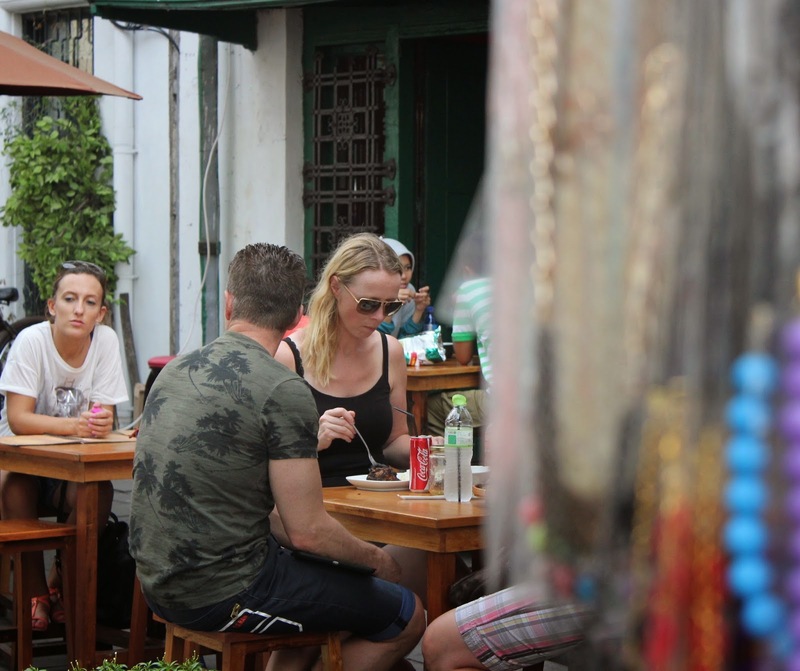 I’m glad that foreigners could enjoy their time, chill out comfortably with their friends in Kota Tua. Thennn, I realize there’s one foreigner with a white T-Shirt at the back… why you look so sad & confuse? Hmm, she might be waiting for a friend and I hope they will arrive soon! Second, I also love to take whatever shots – scenery, stuffs, anything! Here’s what I capture in Kota Tua. 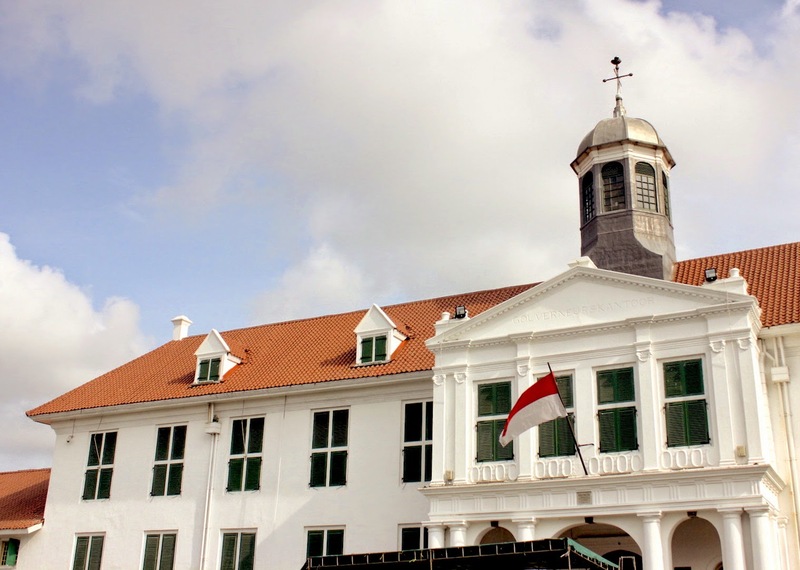 Lots of museums and old buildings that you could visit around Kota Tua, Jakarta. Proud of Indonesia YEAH!! 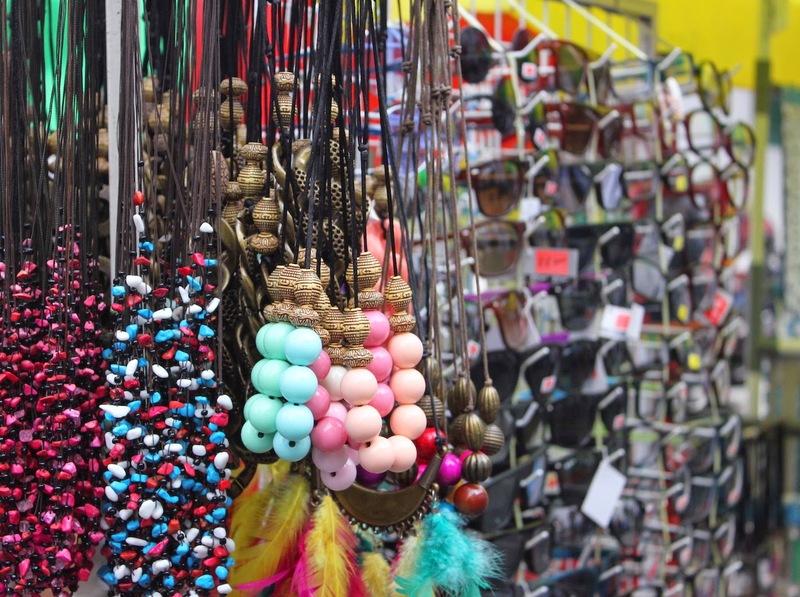 Buy some souvenirs while strolling around Kota Tua: A must! Love cycling? Let’s rent this out! Last but not least… FOOD! 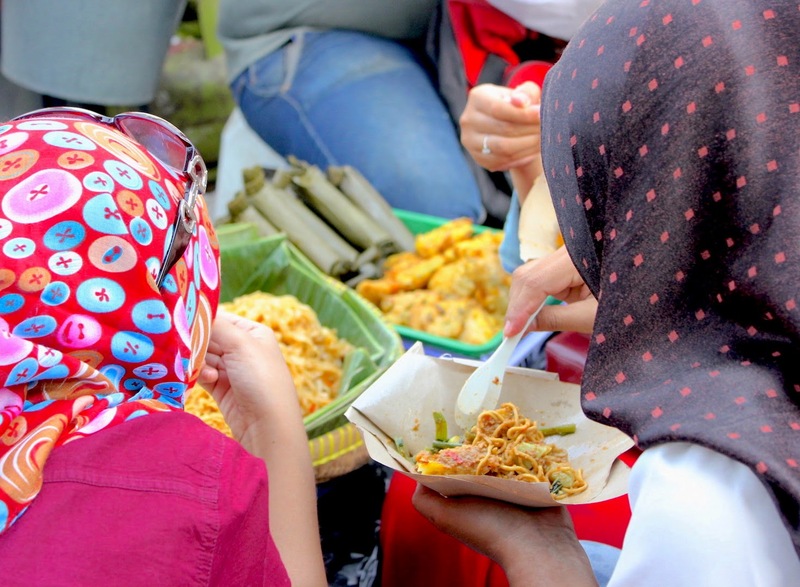 Yeep, there are lots of food stalls in Kota Tua, and one of them is traditional street food like the ones eaten by this girl. Oh my, so hungry right now! Some girls were enjoying their food! Makes me hungry! Overall, I can say that Kota Tua is super beautiful, unique, and so Indonesia! 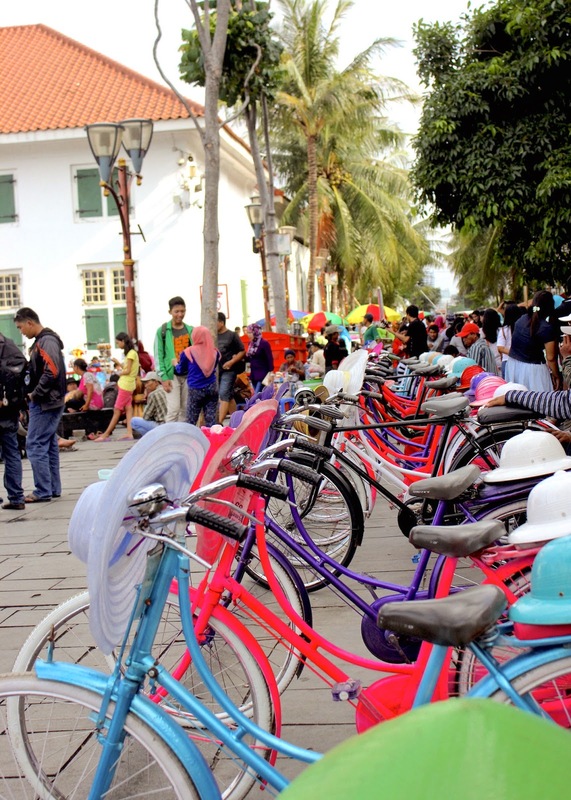 You could go to the museum, watch street performance, rent a bicycle, buy some souvenirs, eat traditional street food, and even say hi to foreigners! Anything! Believe it or not, every people has a different and beautiful perspective in their own eyes about the surroundings. Those perspective could be shown through each of their photos. That’s why, if you notice, every photographer has a different style / characteristic, right? If you share the same hobby as me, taking photos, don’t be shy to drop comments, give critiques to my shots, and drop you blog(s) URL too so I can visit and see your world! See you in the next hunting photo session & posts! Previous PostSemarang: Chilling around Cimory on The Valley SideNext PostBatu : Paragliding at Banyak Mountain, I’m Flying Like a Hawk!! Hi there Febriyan,couldn't agree more! Kota Tua has bunch of things to be captured. 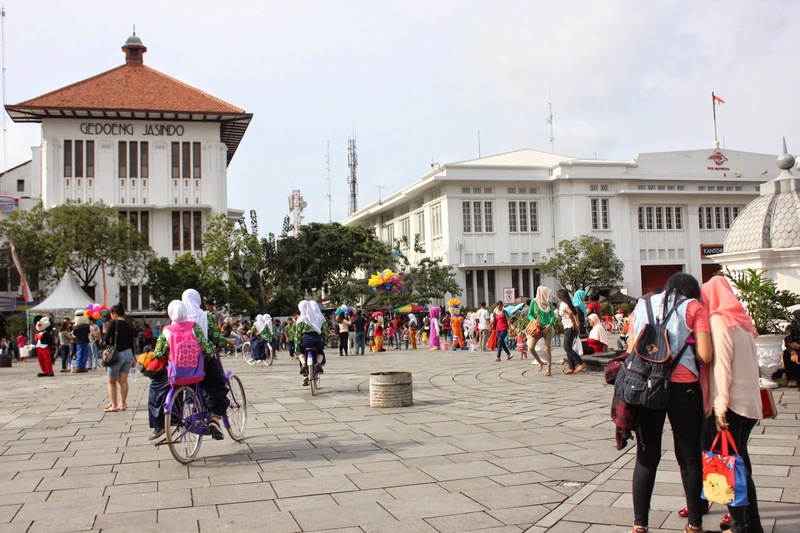 Rame banget yah Kota Tua sekarang…. pusing kalau mau ngambil poto di gang yang kau poto si orang luar ituw…. sighhh Nice article though 🙂 Good luck! Yes, bener banget, hahahaha kadang juga susah mau foto-foto saking ramenya.Thanks for stopping by and Good luck too! Thanks a lot :DHahahhaa, semoga next time ketemu yaa buah siwalannya!